Paul A. Capriolo and Cynthia Hatten Unglesbee are pleased to work together as partners in the practice of law. We and our staff want to let our current, past, and future clients know how much we appreciate them and the faith they put in us to effectively serve their legal needs. Cynthia has been named a Maryland Super Lawyer for 2018 and again for 2019. This distinction is based upon peer recognition and professional achievement. She has been practicing for the past 20 years, and has extensive courtroom experience, including working as a Judicial Clerk for the Honorable Raymond E. Beck, Sr., gaining valuable insights into the workings of the court system. Cindy is especially adept at handling contested and complicated divorce and child custody cases. Contact her for a consultation if you need her to put her skills and experience to work for you. Paul has been recognized as a Maryland Super Lawyer for 2016, 2017, 2018, and again for 2019. 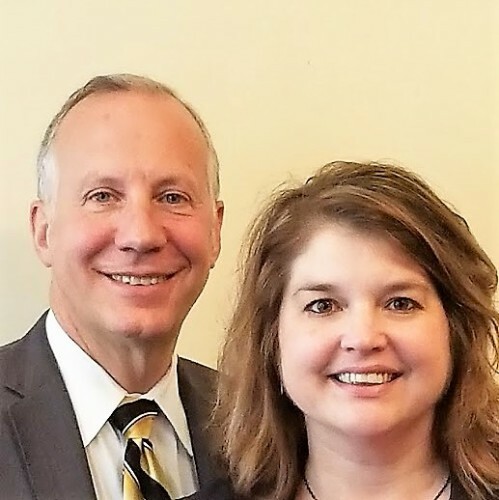 In addition to his work as a trial attorney, Paul is also an experienced Family Law mediator and assists people in reaching Marital Settlement Agreements and in avoiding expensive and extended litigation. Paul concentrates on criminal and dui defense, mediation, marital settlement agreements, and estate administration and estate planning. Our law firm is dedicated to assisting our clients and serving their legal needs. After an initial consultation, our knowledge and experience allow us to understand your legal issues and provide you with sound legal advice and effective representation. Our office is conveniently located in Westminster, just blocks from the Court House in Carroll County. Let us utilize our extensive knowledge of the court system to provide you with effective representation. We are Carroll County lawyers. We live and work in Carroll County and have extensive experience with the Judicial system in Carroll County, experience that out of county lawyers and law firms cannot duplicate. Please contact us at the listed phone number to schedule a consultation. If you need to reach us promptly and cannot reach us by phone, please email Paul Capriolo at the above listed email address and he will usually be able to reply to you outside normal business hours. Cynthia Unglesbee can be reached directly at her email address of CHU@Carrollcountylawyers.com. Paul can be reached at Pac@Carrollcountylawyers.com. We look forward to working with you to serve your legal needs. Address : 196 E. Main St.